Found her on the 1930 Salina, Onondaga, New York census (dist 182 img 2) as Edna M. Schiesser age 23. She is married to Roy and they are living with his parents. Found him on the Greenfield, Highland, Ohio census (img 22), age 44, occupation, Clergyman M E, born North Carolina. Found her on the 1900 Gorham, Ontario, New York census (dist 66 img 2) age 17, basket maker. Kenneth Boyer, son of Mr. and Mrs. Edward T. Boyer of 88 Younglove Ave., Cohoes, was tendered a party and reception at his home Friday night, following his graduation with honors from Christian Brothers Academy, Albany. Found him on the 1940 Cohoes, Albany, New York census (dist 1-23 img 9) as Kenneth Boyer age 3. Found him on the 1920 Dallas Precinct 3, Dallas, Texas census (dist 156 img 5) as Marcelle DeManche age 28, mechanic, automobile. Father born France mother born England. Found him on the 1930 Waco, McLennan, Texas census (dist 33 img 32) as M. S. DeManche age 38, collector, auto company. Found her on the 1870 Starrville Beat, Smith, Texas census (img 14) as Ellen Cancellor age 28. Found her on the 1880 Precinct 1, Wise, Texas census (dist 125 img 35) as Ellen Cansler age 37. Found him on the 1910 Grover, Marinette, Wisconsin census (dist 76 img 8) as Carl Finger age 5. Found him on the 1920 Grover, Marinette, Wisconsin census (dist 135 img 6) as Carlie Finger age 15. Found her on the 1910 Greenfield, Milwaukee, Wisconsin census (dist 6 img 18) as Emma Finger age 2. Found her on the 1920 Greenfield, Milwaukee, Wisconsin census (dist 337 img 5) as Emma Finger age 12. Found him on the 1900 Meramec, St. Louis, Missouri census (dist 124 img 30) as George Finger age 18. Found him on the 1910 Meramec, St. Louis, Missouri census (dist 124 img 18) as George Finger age 27, single, living at home. Laborer, sand works. Found him on the 1860 Livingston, Columbia, New York census (img 43) as Henry Fingar age 5. 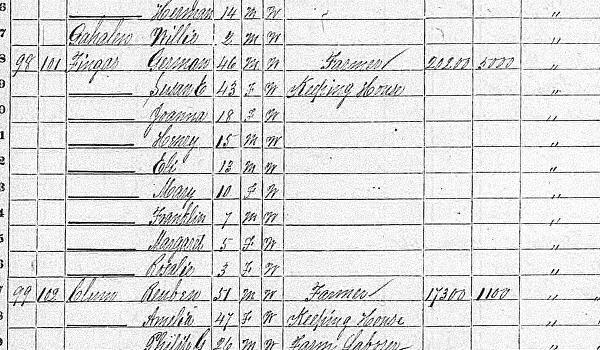 Found him on the 1855 Livingston, Columbia, New York state census (img10) as Henry Finger age 9 monhts. Found him on the 1880 Livingston, Columbia, New York census (dist 23 img 18) as Henry Fingar age 25, single, living at home. Found him on the 1930 Gallatin, Columbia, New York census (dist 14 img 6) as Henry Fingar age 75, farmer. All data from Dr. Ulrich Stöhr in a letter dated Aug 24, 2003. "This J. Michael had a younger brother Jacob b. July 14th 1818 who in 1851 lived in Baltimore!!" Found him on the 1850 Warren, Somerset, New Jersey census age 32. Found him on the 1860 Warren, Somerset, New Jersey census (img 13) age 42, farmer. Found him on the 1920 St. Paul, Ramsey, Minnesota census (dist 37 img 6) as Lloyd Finger age 14. Mrs. Edward B. Styles of Main street Saugerties died Monday in the Benedictine Hospital, where she had undergone a major operation. She was a daughter of the late Jeremiah and Viola Finger and a lifelong resident of Saugerties. 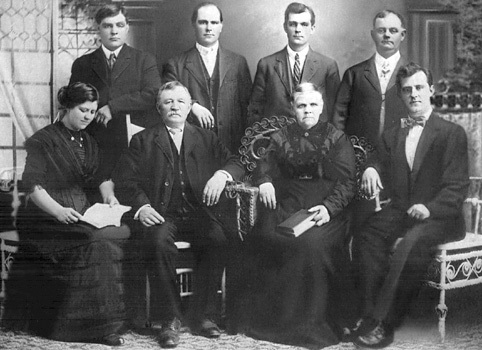 Mrs. Styles was a member of the Reformed Dutch Church. She is survived by her husband, Edward B. Styles; the son, Edward B. Jr., two sisters, Mrs. Effie Trenholm, of Montcialr, N. J., and Miss Henrietta Finger of Brooklyn; and a brother John A Finger, of Boston, Mass. - Obituary The Kingston Daily Freeman January 11, 1938 page 11. Found her on the 1900 Saugerties, Ulster, New York census (dist 132 img 9) age 16. Found her on the 1910 Saugerties, Ulster, New York census (dist 164 img 32) as Mabel Styles age 26, married. She and her husband are living with her widowed mother Viola Finger age 59. Found her on the 1930 Saugerties, Ulster, New York census (dist 51 img 12) as Mabel F. Styles age 45. 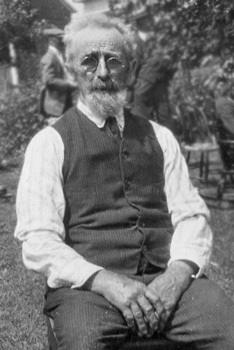 Finger Furniture was founded by Sam Finger in 1927. His son, S.P. "Sammy" Finger, was known in the furniture industry as a pioneer. Sammy's son, Robert "Bobby" Finger, took over in 1989. After Bobby Finger's death in 2007, his son, Rodney Finger, became CEO. S. P. Finger, one of the true legends in the furniture industry, died Tuesday, Jan. 23, 2001. 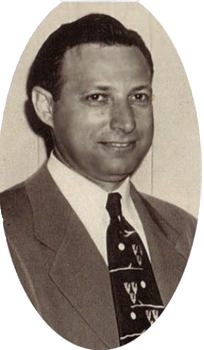 As chairman of the board of the vast family-owned Finger Furniture Company in Houston, Tex., Finger was a master promoter and innovator in the retail furniture industry. He was 84 years old. "Sammy," as he was known to hundreds of family and friends throughout America, was born in 1916 in Shepherd, Tex. As a child, he cut his retail teeth in his parents' small general merchandise store in the tin town in the middle of the East Texas Piney Woods. Young Sammy learned all phases of the home furnishings business working in every department of the stores. In 1959, he became president of Finger Furniture Company, serving in that position until he became chairman of the board in 1988. One of the hardest working men in the furniture industry, S. P. Finger put his mark on every facet of Fingers' operation, from merchandising to warehousing, sales to marketing. Active in the company until the past two years, S. P. Finger was seldom seen without his trademark yardstick in his hand as he toured the stores. More importantly, Finger knew and cared about each employee and each of their families. Found him on the 1920 Justice Precinct 2, San Jacinto, Texas census (dist 133 img 17) as Samuel Finger age 3. Found him on the 1930 Houston, Harris, Texas census (dist 26 img 20) as Samuel P. Finger age 14. Found him on the 1940 Houston, Harris, Texas census (dist 258-230 img 17) as Samuel P. Finger age 23. He is single and living at home. Furniture, retail store. Found her on the 1910 Manhattan Ward 11, New York, New York census (dist 230 img 51) as Sarah Finger age 7. Found her on the 1920 Manhattan Assembly District 6, New York, New York census (dist 484 img 2) as Shirley Finger age 16. Found him on the 1880 East Chester, Westchester, New York census (dist 94 img 2) age 29, carpenter. His father-in-law Daniel E. Horton age 57 is living next door to him. Found him on the 1900 Mount Vernon, Westchester, New York census (dist 81 img 22) age 49, carpenter. Father born Scotland mother born New York. Found him on the 1910 Danbury Ward 1, Fairfield, Connecticut census (dist 61 img 15) age 7. Found him on the 1920 Danbury Ward 2, Fairfield, Connecticut census (dist 101 img 6) age 17. Found him on the 1930 Danbury, Fairfield, Connecticut census (dist 102 img 14) age 27 hatter, hat factory. An entry from Krista Madigan on ancestry.com shows his birth to be abt 1666 and he died abt 1705. Found him on the 1900 Maple Creek, Outagamie, Wisconsin census (dist 91 img 8) as Harold Kempf age 9. Found him on the 1905 Maple Creek, Outagamie, Wisconsin state census (img 1) as Harold Kempf age 15. Found him on the 1920 Maple Creek, Outagamie, Wisconsin census (dist 221 img 4) as Harold Kempf age 29, single, living at home. Farm laborer. Found him on the 1880 Gallatin, Columbia, New York census (dist 10 img 13) as Urijah Kilmer age 28, farmer. Father, mother born New York. Found him on the 1900 Gallatin, Columbia, New York census (dist 12 img 7) as Urijah Kilmer age 47, farmer. Found her on the 1930 Florence, Florence, Wisconsin census (dist 5 img 29) as Hazel Finger age 32. Found her on the 1850 Saugerties, Ulster, New York census (img146) age 6. Found him on the 1900 Los Angeles Ward 3, Los Angeles, California census (dist 33 img 4) as Thomas Napier age 38, carpenter. Found him on the 1910 Los Angeles Assembly District 69, Los Angeles, California census (dist 127 img 21) as Thomas W. Napier age 48, carpenter, building. Found him on the 1870 Caldwell, Catawba, North Carolina census (img 21) as Elisha Ramseur age 53, farmer. Rupert A. Raymer, 63, of RD 1, Lyons, former Geneva police sergeant, died early this morning at Geneva General Hospital as a result of an accident at his home two weeks ago when a tractor overturned. Funeral services will be at 2 p. m. Monday at the Bennett Funeral Home Inc., Geneva, with the Rev. John Wolfe Jr., pastor of the First United Methodist Church, officiating. Burial will be in South Lyons Cemetery at Lyons. Friends may call Saturday and Sunday from 2-4 and 7-9 p. m. at the funeral home. Geneva Lodge F&AM 965 will hold a Masonic memorial service Saturday, at 7:30 p. m., at the funeral home. The Hydrant Hose Co. of the Geneva Fire Dept. will meet at the funeral home Sunday, 7:30 p. m. Mr. Raymer was born Feb. 18, 1908 in the Town of Seneca in Ontario County. He came to Geneva in 1924, where he served as a special deputy sheriff and was employed by the Railway Express Agency before joining the police force, July 25, 1936. He was promoted to sergeant Dec. 1, 1950. Mr. Raymer retired from the police dept. two years ago, due to a disability, with the rank of sergeant. He is survived by bis wife, Mrs. Mary Raymer of RD 1, Lyons; three daughters, Mrs. Joan Murphy of Geneva, Mrs. William (Donna) Watkins of Newark, and Miss Dale Marie Raymer at home; one son, Robert Raymer, at home; three grandsons, two brothers, Ivan Raymer of Geneva, and Adrian Raymer of Lyons; one sister, Mrs. Donald (Naomi) Rosenthal of Phelps; and several nieces, nephews and cousins. Found him on the 1910 Gorham, Ontario, New York census (dist 99 img 16) as Rupert A. Raymer age 2. Found him on the 1920 Cicero, Onondaga, New York census (dist 41 img 17) as Rupert A. Raymer age 11. Found him on the 1930 Geneva, Ontario, New York census (dist 23 img 15) as Rupert A. Raymer age 22, single. Clerk, railroad express. Found him on the 1880 Howards Creek, Lincoln, North Carolina census (dist 103 img 7) as Malcom Robinson age 10. Found her on the 1860 (not stated), Lincoln, North Carolina census (img 68) as Caroline Rudisill age 12. Found her on the 1892 Buffalo Ward 14, Erie, New York state census (E.D.02 img 2) as Marien Schirar age 2. Found her on the 1900 Buffalo Ward 14, Erie, New York census (dist 107 img 15) as Mary C. Scherer age 10. Found her on the 1860 Conway, Izard, Arkansas census (dist img 2) as Chanty C. Woods age 9.